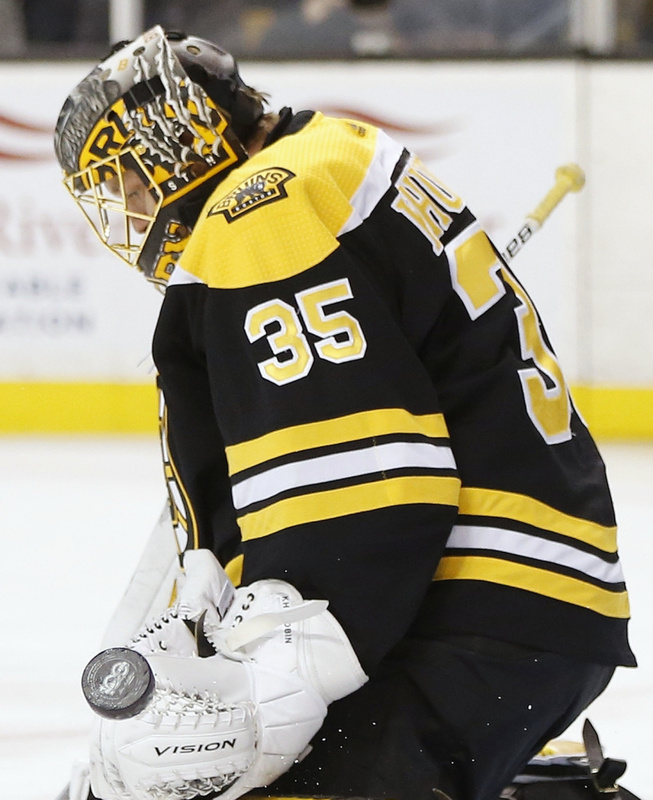 Tuukka Rask, who's making $7.5 million this season, has been outplayed by Anton Khudobin. The Boston Bruins close out November on Wednesday night when they play the first-place Tampa Bay Lightning at TD Garden. The Lightning roll into Boston averaging a league-high 3.7 goals a game. Not an ideal matchup for a team with a burgeoning goalie controversy. 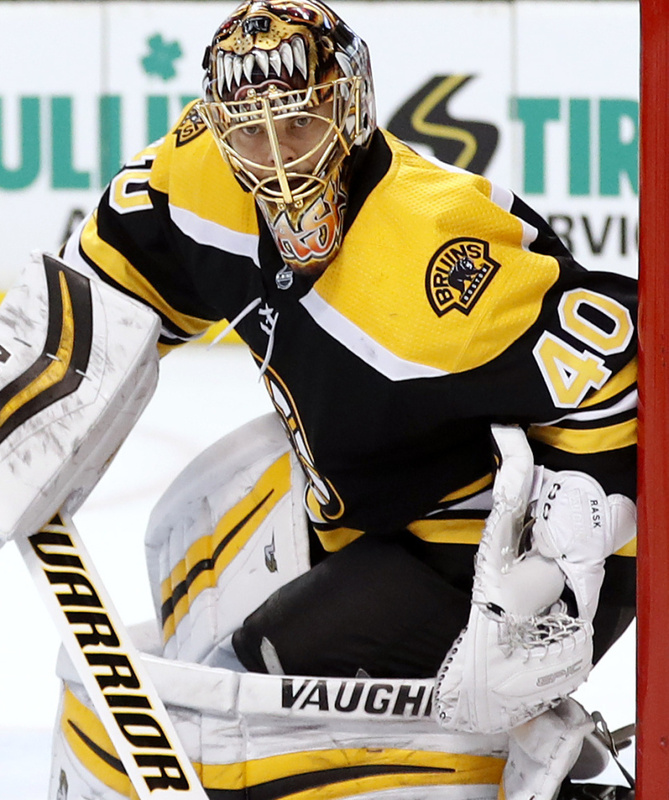 Tuukka Rask was in net for Sunday’s 4-2 loss to the previously struggling Edmonton Oilers. He played well, but not well enough to save a team that looked sluggish from start to finish as Boston saw its four-game winning streak end. There was one constant in those four wins: Anton Khudobin was Boston’s goaltender. Khudobin, who won the backup spot with a strong preseason, has been even stronger in the regular season. He’s 7-0-2 with a 2.22 goals-against average, stopping 93.2 percent of the shots he has faced. Rask, meantime, hasn’t won a game since Nov. 6. He has lost four straight, and is sitting on an ugly .897 save percentage to go along with his 3-8-2 record and a 2.91 GAA. The numbers clearly favor Khudobin, who has been the better goalie this season. After all, the goalie is the only position in hockey that gets credited for a win or a loss. And Khudobin – who has played fewer games – has more than twice as many wins as Rask. We can be more specific: Rask took the loss, but the team in front of him took the blame for Sunday’s lackluster effort. They knew Rask is battling a crisis of confidence and needs a boost. The goalie who has been there for them countless times needed a pick-me-up. He didn’t get it. Cassidy is coaching to win games now – as of Monday the Bruins were a point out of a playoff spot – but he’s also coaching for the long term. He can’t turn away from Rask, who is being paid $7.5 million this season to be the team’s primary netminder. What’s more, he’s operating under an eight-year, $56 million contract that lasts until 2021. The Bruins don’t have a lot of downtime between now and Christmas. When December hits they’ll play 11 games in 23 days. Cassidy will need to have two goaltenders playing well if he wants to navigate through that stretch successfully. Chances are he’ll incorporate both goalies into the mix. Could he continue that two-goalie system throughout the season? Absolutely. In fact, in his five seasons as head coach of the Providence Bruins, he never had a goaltender play as many as 50 games. Admittedly, his goal as the Providence coach was to develop players, but he was clearly able to juggle a rotation that brought out the best in each of his netminders. In the 2012-13 season he led the team to the AHL’s best record with a goaltender rotation. That might be the answer for his current team. First he must figure out how to build Rask’s confidence. After Wednesday night’s game with the Eastern Conference leaders, the Bruins travel to Philadelphia for a Saturday matinee with the Flyers. That might be a better matchup for Rask as he looks to break his winless streak. Of course, starting Khudobin against the Lightning will once again fire up the call that the Bruins are having a goalie controversy. That’s something Cassidy will have to deal with until both his goalies are playing well once again.